White-Knuckle Induced Speeds to Exhilarate. 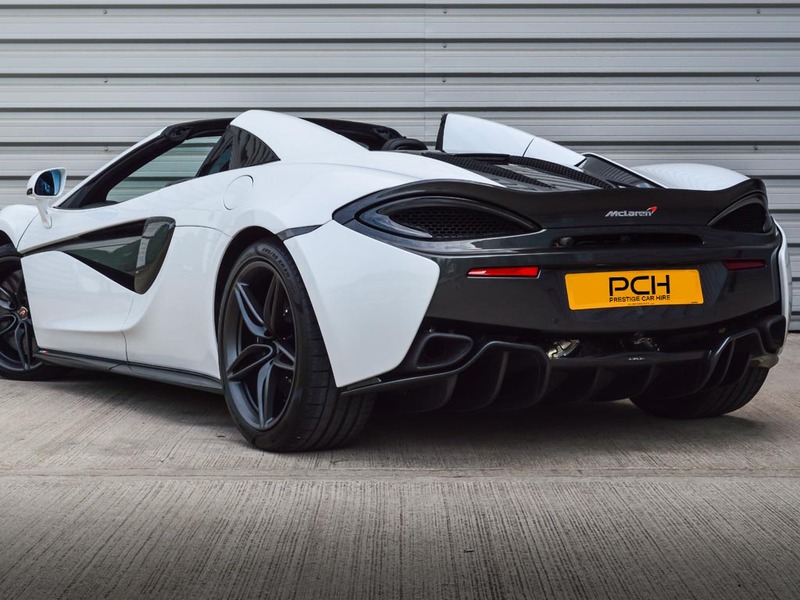 The thunderous Mclaren 570s Spider | A unique car hire choice. For white-knuckling speeds and a sporty design like no other, hire a McLaren 570s Spider today. Enjoy this luxurious machine in any location throughout the UK with Prestige Car Hire. 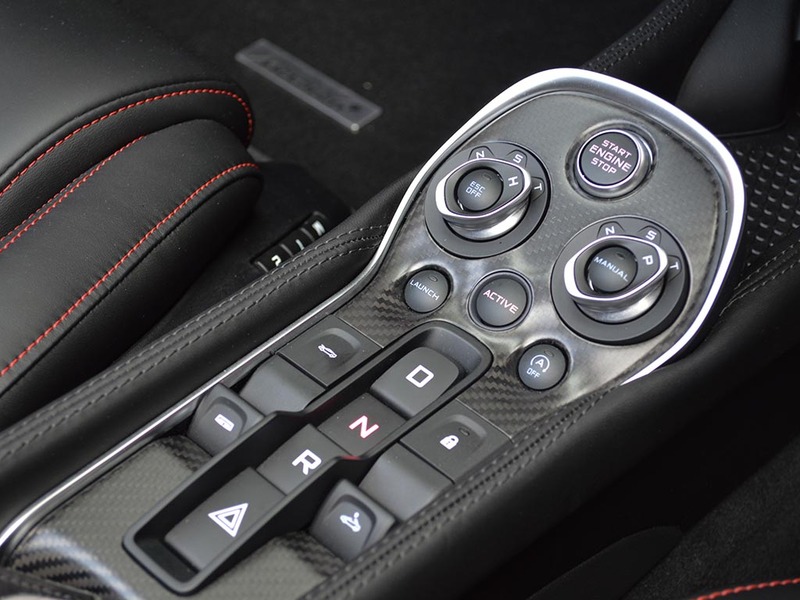 Not much comes close to the feeling behind the wheel of the dominating Mclaren 570s Spider. This feat of modern engineering guarantees an elite driving experience in sumptuous style. With a white-knuckle inducing top speed of 204mph and a 0-62mph time of 3.2 seconds, the 570s Spider hire is something to behold out on the road. The new retractable roof of the Spider can be raised and lowered at speeds of up to 25mph and makes for a unique driving experience when the top is dropped. 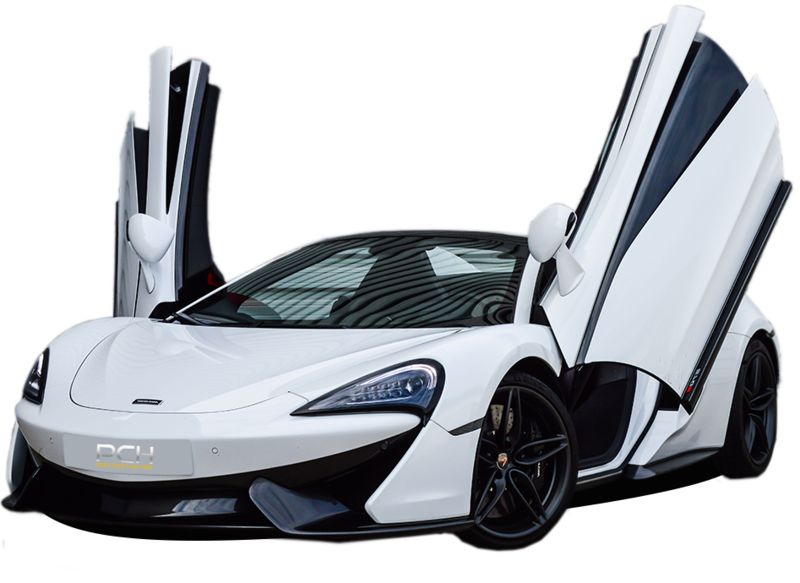 Under the sleek hood, the 3.8 litre V8 engine is capable of churning out 562bhp, with a seven-speed dual-clutch automatic gearbox which allows the Mclaren 570s hire to reach 124mph in under 10 seconds. 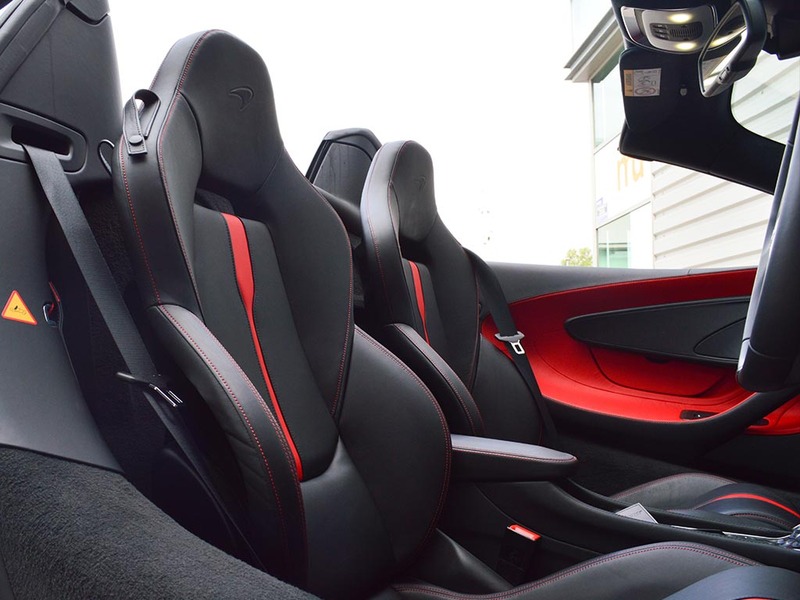 Inside the luxurious cabin of the 570s Spider, the hand-finished interior oozes class. A digital dashboard is present and the McLaren's three distinct driving modes are accessible via dials on the centre console, with a state of the art infotainment touchscreen situated high in the centre of the panel. When fired up, the McLaren 570s Spider hire lets out an impressive roar, made all the more powerful when the roof is down. When out on the road the Spider hire handles like a dream, with the carbon-ceramic brakes offering a firm grip without being too sensitive. 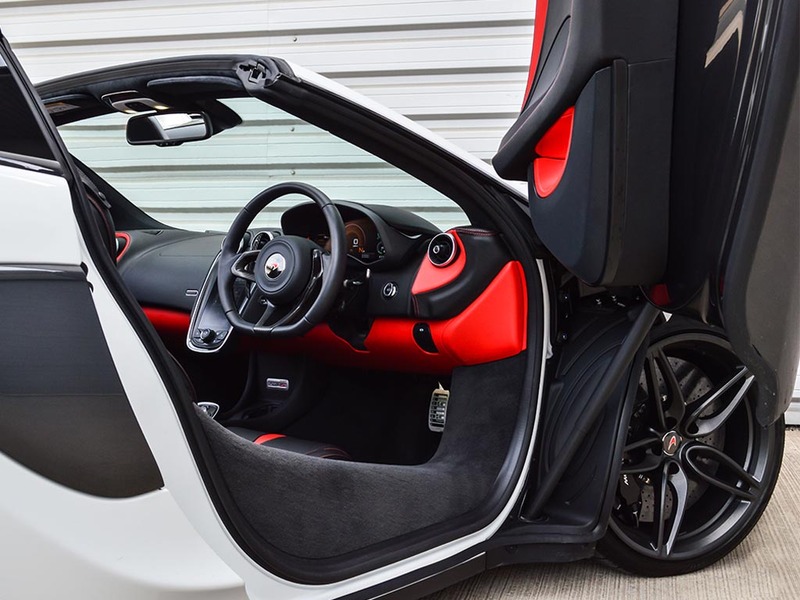 For a true driving experience, Rent a McLaren 570s Spider from Prestige Car Hire TODAY! We've found these cars with a similar 0-62mph time to the McLaren 570s Spider.